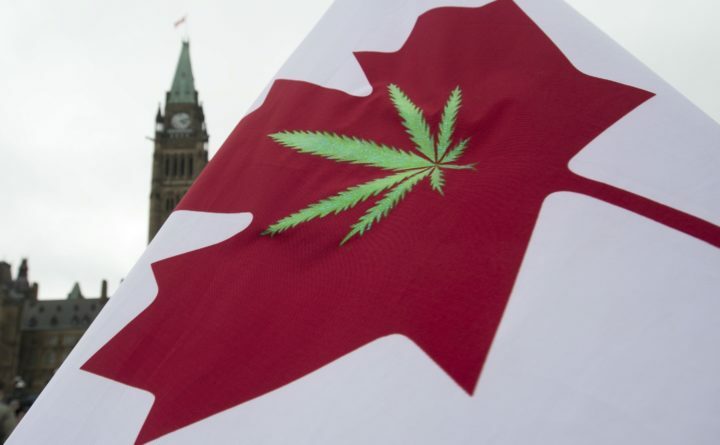 In this April 20, 2015 file photo, a Canadian flag with a cannabis leaf flies on Parliament Hill during a 4/20 protest in Ottawa, Ontario. BLAINE, Wash. — Recreational marijuana has been legal in Washington state since 2014. Adults just a few miles away in Canada also will be able to legally buy and smoke marijuana for pleasure starting in October. “I think we’re going to have a rough year-and-a-half learning curve as far as the cross-border issues,” said Rino Bortolin, a city councilor in Windsor, Ontario, just across the river from Detroit. Few places will be as affected as Blaine, where Interstate 5 hits the Canadian border, and Windsor, where the Detroit skyline is visible across the Detroit River. Thousands cross the border each day at the two cities for work or other reasons — Windsor’s mayor said he often ducks over to Detroit for lunch at a favorite Thai restaurant, traversing one of the nation’s busiest crossings for trade. Jessica Goldstein lives two miles from the U.S.-Canadian border in British Columbia and often traveled to Washington state to shop, visit friends or spend time at her family’s vacation cabin.